I need a new shampoo. Because if this is the hair style that's hip and happening and that's worn by the users of this shampoo, I'm so not that. And, while we're at it, I think I'm in need of new swim masks for the kids. 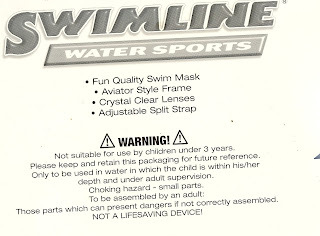 Because when you need to put "NOT A LIFESAVING DEVICE" on a swim mask, you've clearly gone over the edge. That, my friends, is all I've got in me today. Interesting to "remember"...I didn't see it either, don't particularly care for Warren Beatty, but I surely enjoyed your blog! 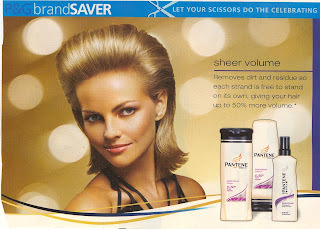 I think it's really funny that it says Let Your Scissors Do the Saving above the ad, because let's face it, that woman needs a haircut.